Freedom Ranch provides a safe, healthy, and sober environment offering a program of recovery through which alcoholics and drug addicts can achieve and sustain sobriety and adopt a new life through love and service. 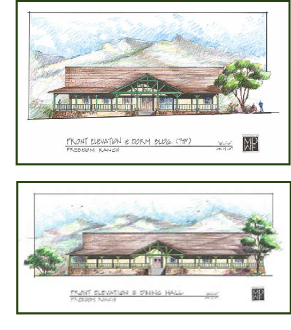 Towards that end, Freedom Ranch desires to launch a capital campaign to construct four new dormitories and the new dining/meeting room. The primary objective of RCH Consulting is the successful completion of a feasibility study. Through conducting surveys, RCH Consulting’s goal is to discover the organization’s capacity to raise funds and to provide tools to successfully launch the campaign. Jennifer Garvey Berger, Susanne Cook-Greuter, Bill Torbert, Valerie (in red) and David McCallum. During this session, participants will engage in open exploration of how we can, have, do work with individuals, groups, and organizations to identify and name fallback, to reflect on it, and to grow from it. Participants will engage in open dialogue about their own experience of navigating the experience of fallback in self, with other individuals, and within teams and organizations...and how this navigation may assist developmental spring forward. Questions guiding the session include: What are the practices we use as developmentalists to make what is often undiscussable explicit? What are the tools we can provide to others to help in their noticing and recovery? How can we support individuals in supporting their teams when they don’t show up their best selves? When do we decide it’s not worth the effort? Is there a developmental threshold for “going there” with others? About the Growth Edge Network (GEN). The network was founded in 2011, and approved as a New Zealand based Charity in 2014, by Jennifer Garvey Berger, Carolyn Coughlin and Keith Johnston to bring together an International collective of people who have a deep interest in Adult Development, and who crave conversations with others who are like-minded; to think and learn together about how to best support our work in transformational change, in all kinds of organizations, all over the world. Renee Herrell attended the Author/Foodie Book Signing at Chino Farm in Rancho Santa Fe (with Alicia Quinn and Jennifer Nelson). 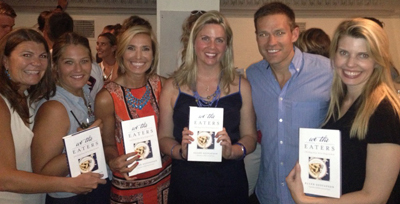 "We The Eaters" book release party with author Ellen Gustafson - May 2014. San Diego Children's Discovery Museum Gala (with Dr. Valerie Livesay and Cathe Burnham).